It is hard to let go of a beloved old car that is beyond even a trade-in. Sending it right to the junkyard can be heart-wrenching. Making a car donation to a worthy charity seems like a good move, but car donation is an area of philanthropy that is rife with fraud and misleading information. If you're looking for a significant tax deduction, you might be disappointed in a car donation. Your deduction will only be a fraction of the car's value plus you must itemize deductions on your tax return to get any deduction at all. If the charity sells the car at auction, you can only deduct the amount the charity receives at the auction. Fair market value may have nothing to do with the amount of your deduction. The ads that you see everywhere that offer to help you make a car donation to charity are almost always rip-offs. In most cases, these are middle-men who give only a fraction of the car's value to the charity. Car donation middle-men are not required by the IRS to contribute a certain amount of the auto's proceeds to a charity. The amount the charity receives from a car donation is negotiated by the charity and the middle-man. No matter what celebrity promotes these car donation programs, do not use them for your vehicle donation unless you can verify that the car donation agency gives a significant percentage of the proceeds from your vehicle donation to the charity. Ask the charity you have in mind how much they get from the gift. You can also try to find a charity that can take your car donation directly. Ask your favorite charities first. They may have a car donation program. The best deal for you and the charity is if the charity can use the vehicle themselves. Some charities such as Meals-on-Wheels or Goodwill might have a need for used cars. Just ask. Instead of calling the first telephone number you see on a billboard for car donation, follow these steps to make a car donation to charity. Find a charity in your local area that will accept your vehicle donation directly. You will need to do some research, but you will feel ever so much better when you find a good group that will benefit directly from your car donation. Make sure that the charity you choose for your vehicle donation is a 501(c)(3) organization. Churches do fall into this category. Tax-exempt organizations are the only nonprofit groups that can provide a tax deduction for your donation. Check the organization's website for proof of its charitable status, or look it up at the IRS EO Select Check. If possible, deliver your car donation to the charity yourself. A charity will have to pay someone to pick it up. Save them that expense by driving the car directly to the charity. Make arrangements with the charity first, of course, so that the proper paperwork for your car donation can be prepared. Protect yourself from future liabilities that could result from a car donation. There are some sad cases of people making a car donation and then being liable when that car was later in an accident or even received parking tickets. Make sure that the title is transferred correctly to the charity. Check with your state's Department of Motor Vehicles about how to do this. Never leave a blank space on the title for someone else to fill in. Do not leave the ownership space on the charity car donation papers blank. If the charity asks you to do that, find another organization. Understand the IRS rules for your car donation. First, a tax deduction is only available for your car donation if you itemize your deductions. An estimate of the value of your vehicle will not pass muster at tax time. Since most cars (or boats) donated to charity are resold, you must know the resale price of your vehicle donation for your tax records, if the car or boat is worth more than $500. Make sure that the charity sends you this record. 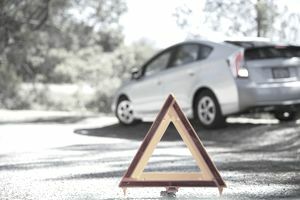 If the charity keeps the car or boat and uses it in its charitable work, or if your vehicle is worth less than $500, then you can report its "fair market value" (FMV). Giving your vehicle to a nonprofit that provides low-cost vehicles to low-income buyers also allows you to deduct the car's fair market value or $500, whichever is less. You can use a resource such as​ Edmunds.com to determine the FMV. If the vehicle is worth less than $5000, attach IRS Form 8283 to your tax return. If it’s worth more than $5,000, you must include an outside appraisal. Proof of the donation, such as a receipt from the charity, is also required by the IRS and a copy of the title change. You can get more information from IRS Publication 4303, A Donor’s Guide to Car Donations. Even though making a car donation to a charity might seem like more work than it is worth, do make an effort. Do it in the name of that car that served you well, and to help out a worthy cause. Making a car donation to charity is a better alternative than a direct trip to the junk heap, as long as you do your homework first.